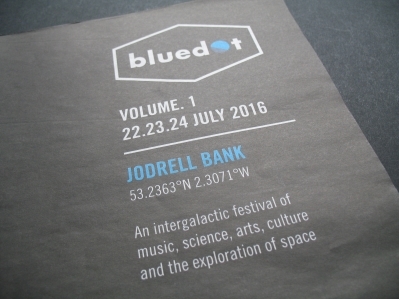 The inaugural Bluedot Festival took place at Jodrell Bank in July 2016, close to the home of the celebrated writer Alan Garner. His work was the subject of one of the festival’s most intriguing events – an on-stage conversation between novelist and journalist Erica Wagner, and Teresa Anderson from Jodrell Bank. In the run-up to the festival I spoke to Wagner about the enduring appeal of Garner’s work… though I couldn’t help opening with a few reflections of my own. I could see in her eyes that she meant it. Something in the revered author’s work had convinced her that an area of sought-after Cheshire real estate might harbour elemental forces that were better left untouched. It might not have been the glowing Trip Advisor review that Cheshire’s tourism chiefs would wish for, but there’s no denying the tribute to the power of Alan Garner’s extraordinary imagination. When Garner set his first novel, The Weirdstone of Brisingamen, around Alderley Edge, he didn’t choose the sandstone escarpment’s environs on a whim. It was the landscape in which the stories he’d heard all his life were embedded. For him, it was an area rich in family history – vivid with a sense of generations walking the same paths, caressing the same stones. The book was the first transmission from a mind that was – and remains – attuned to stories that seem to seep out between the cracks in this very specific patch of earth. Since 1957, Garner has lived in Toad Hall – a medieval house a few miles south west of Alderley Edge, just beyond the shadow of the famous Lovell Telescope at Jodrell Bank. The telescope itself features in his 2012 novel Boneland, and Garner has spoken about the way the immense construction scoops up signals from the furthest depths of the universe’s past. As both an engineering wonder at the bottom of his garden, and a doorway opening onto a different perception of time, the telescope could almost have been built to form the backdrop to Alan Garner’s literary life. It seems only right then that Bluedot should pay tribute to Garner, which it will when the journalist and novelist Erica Wagner joins the director of the Jodrell Bank Discovery Centre, Teresa Anderson, for an on-stage conversation about his work. Wagner has recently edited the book First Light, an anthology dedicated to writings about Garner by an eclectic array of contributors, and for her, it’s an opportunity to reconnect with a landscape and a subject that are both close to her heart. While many British readers encounter Garner’s work at a young and impressionable age, Wagner’s story is different. Having grown up in New York, she moved to Britain 30 years ago, and it was while she was literary editor of The Times that Garner came into her life. “Garner isn’t really read in the United States in the way that he is here,” she says. “He’s considered a classic author here, someone who people read when they’re young, but I was not one of those people. So when The Stone Book Quartet was republished and sent to me at The Times, I was extremely struck by it. It was the beginning not only of a relationship with Garner’s work, but of a friendship that Wagner values to this day. 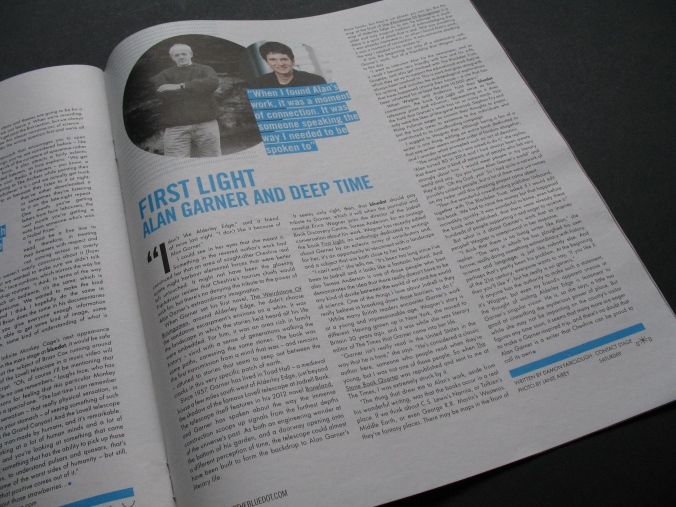 When Wagner and Anderson hold their Bluedot conversation, the book First Light will serve as both reference point and talisman, representing as it does the hold that Garner’s work has on so many minds. Not only were the likes of Margaret Atwood, Stephen Fry and Philip Pullman eager to commit their thoughts to paper, but the book owes its existence to the individuals who contributed to its crowdfunding campaign. I suggest to Wagner that although being a fan of a writer is one thing, editing an entire book dedicated to that one writer seems another order of fandom altogether, and I wonder what prompted such an act of devotion. “The simple answer is I was asked to do it,” she replies. 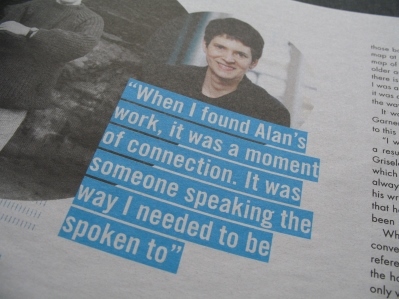 “Alan turned 80 in 2014 and I had always been aware that there was a kind of network of people who felt very strongly about him. I would meet people in my literary world and say, ‘Do you know Alan Garner’s work?’ and they’d go, ‘Oh my God, yes!’. So I had quite a network of possibly unlikely people, but a lot of them were just names on my radar until this amazing project came about. But what is it about Garner’s work that so inspires people? Wagner is unequivocal in her response. If anyone has the authority to make such a statement, it’s Wagner, but even my own friend’s apparent unease at the thought of visiting Alderley Edge is testament to Garner’s singular vision. He is, so she says, a little too good at unearthing the mysterious power of place. But while she may not be impacting on the county’s visitor figures any time soon, it seems that many more are eager to make a Garner-inspired trip, and there’s no doubt that Alan Garner is a writer that Cheshire can be proud to call its own.